Every citizen around the Belleville and Van Buren Township area is familiar with the annual summer National Strawberry Festival. This year is the 40th year of our town hosting this outstanding event in which 10s of thousands of people come together for some good old fashioned fun complete with Parades, carnival rides, and of COURSE lots of delicious Strawberry Treats! So what do Strawberries have to do with your teeth? Well, everyone wants shiny white teeth. For many years Strawberries have been touted as a holistic method to make your teeth whiter at home. But does it really work? In 2015, and dental research project was undertaken to finally either prove or put the myth to rest. A crushed mixture of strawberries was used to create a Do-It-Yourself paste and brushed on 20 extracted teeth, 3 times per day, for 10 days. The dentists allowed the strawberry paste to sit on the teeth for 10 minutes each time before brushing it off. The results: After the experiments the dentists found that the strawberry toothpaste successfully brushed off plaque and debris from the teeth giving the illusion that the teeth actually were whiter! But their measurements indicated there was no intrinsic bleaching of the teeth – as there is with professional tooth bleaching products. So, at the end of the day — strawberries are a great snack, and may really even make your teeth appear whiter in the short term. Keep in mind that Strawberries are packed full of natural sugar. 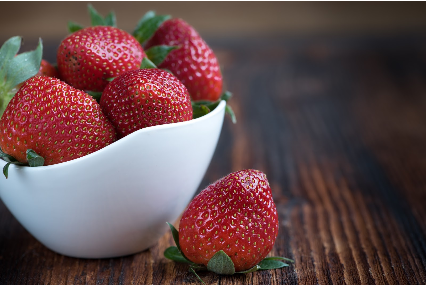 So before you start rubbing strawberries on your teeth — remember that the sugar in the fruits can cause dental cavities with long exposure.